Right now it’s hard to imagine that we used to live in a land where Bayern and Bob Baffert and the Santa Anita stewards had not ruined horse racing for everyone, but I’ll give it a go anyway. Sure, it seems like a stretch. That we could all just somehow drift back to a kinder, gentler time. 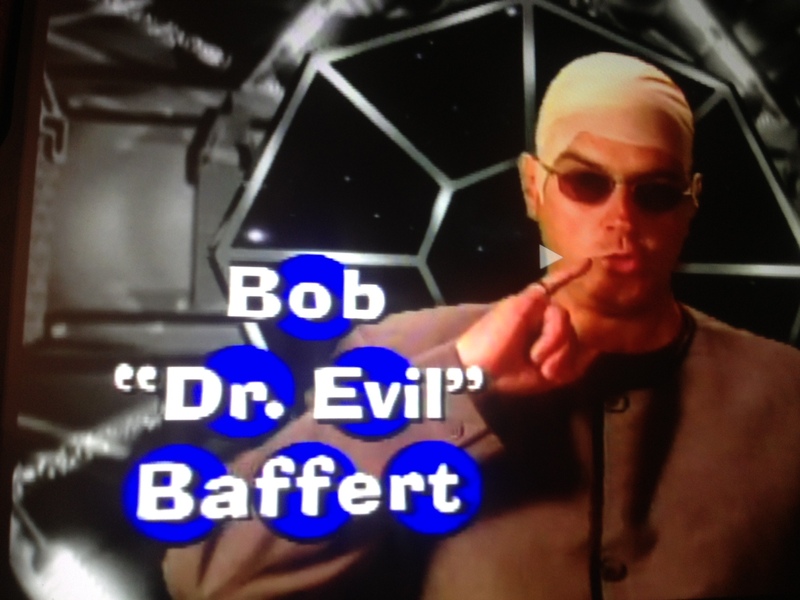 Before Martin Garcia and Bayern conspired with the dastardly Bob “Dr. Evil” Baffert to take out both Shared Belief and Moreno (VE Day being collateral damage) just to win a horse race worth five million dollars! So the plan here is not merely to take back, but to back out of the gate entirely. To go back to that blissfully ignorant time before (seemingly) anyone knew that in order to get DQ’d for veering in or out at the break in California you basically had to unseat a fellow rider. Besides, here at around2turns we object not only to the beating of live horses but also of dead ones. Moving backwards in time then, here are our favorite stories from Breeders’ Cup week at Santa Anita. One year ago was a great Cup for Europe, where European-bred horses filled out the exactas in the Turf and Juvenile Filly Turf, and the trifecta in the Filly & Mare Turf. But this year’s twenty starters bred in Ireland, France or England failed to win a single race. If that weren’t bad enough, two American-bred trainees of Wesley Ward, both of which ran very well across the pond (No Nay Never and Undrafted) ran 2-3 in the Turf Sprint. 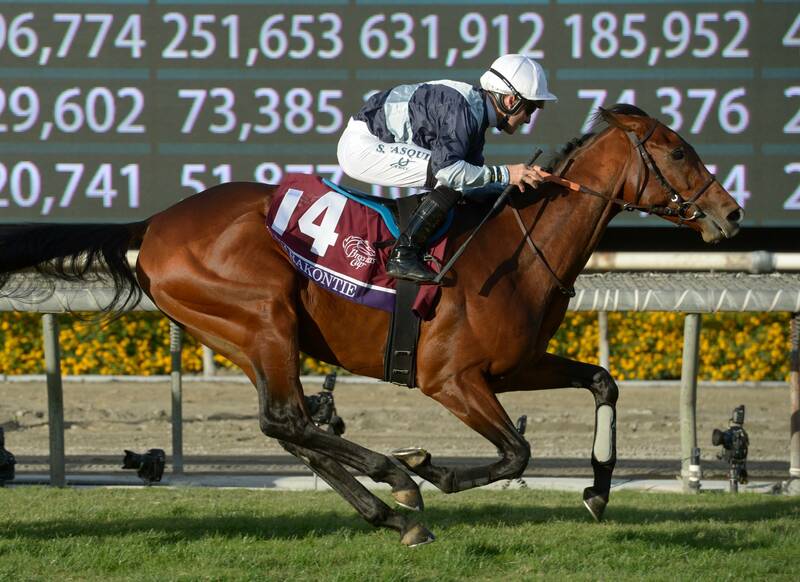 But perhaps the greatest shock to the Euro Zone came when Karakontie became the first Japanese-bred horse to win a Breeders’ Cup race by overcoming the dreaded quatorze hole to pick up all the pieces of a pace-shattered Mile. Japanese race fans did not get their Arc this year, but this grandson of Sunday Silence gave them a French Classic (the Poule d’Essai des Poulains) and a $62 win mutuel at the Breeders’ Cup, which, where I come from, still buys some pretty effective forms of consolation. Group one winners’ circles might continue hearing the words “… out of the Sunday Silence mare …” for a few years yet to come. Apparently, Rosie Napravnik never got the email about the Distaff being returned to its rightful moniker and that Breeders’ Cup Friday is no longer the “girly ghetto”. Otherwise, why else would this great female rider give up the lavish income she has earned – with nearly $40 million in purses over the last three years – only to kowtow to the patriarchy by taking on the subservient and culturally-imposed roles of doting mother and supportive wife? Kidding! We signed on to the nice tweet sent out by NYRA handicapper/human-piñata-of-the-Twittersphere Andy Serling. I have great respect for people that value quality of life over money. @rosienapravnik remains one of my favorite @AtThePostLive guests. Napravnik’s $13 million in purses for 2014 is surpassed today by five jockeys and only two trainers. Her husband, Joe Sharp, just launched his training career and is off to a great start, having won 9 of his first 20 races, with 14 in-the-money finishes. Still, this leaves him 1,268th in purses, so we wish him well in his quest for more and better and faster horses. And with DRF Formulater informing that Rosie was in the irons for 8 of those wins, we also wish him well in his search for a new jockey. But there is something about this Joe Sharp that tells me he is aptly named, and that he and Rosie will be just fine. The same thing the following generation learned by watching “Tommy Boy”. I understand her bias and dislike for Doug, but to take that out on Leandro and the owners of this magnificent horse and this amazing achievement on this day, show a complete lack of character. If members of this committee cannot contain themselves with their utter disdain at Goldencents winning, could we not find someone who could have at least faked it? To answer O’Neill’s rhetorical question: in that town, yes, I think they could have managed. My favorite story from Breeders’ Cup week came very early in the week, when Ray Paulick retweeted the news that Silver Charm had been pensioned from stud duty in Japan, and would be coming home to live out his days at Old Friends in Kentucky. Paulick’s source was Kate Hunter, who is shown below with the 20-year-old champion. As most racing people know, the two Kentucky Derby winners who preceded Silver Charm at stud duty in Japan – Ferdinand and Sunday Silence – did not enjoy happy retirements, nor even merciful endings. Presumably because of these sad stories, it seems that Silver Charm’s sale included a buy-back clause. Another tweet from Hunter noted the persistence of memory, and for how long grudges can be held. I understand the concept of remembering the past so as to avoid repeating it, but there also comes a time when righteous fury must be dissolved in love and forgiveness, rather than in hatred and anger. It’s nice that Americans care about their animals, and that the best ones and the luckiest ones seem to find graceful and happy places to live out their days. But what about our racehorses who are unable to find second careers or who fail to “earn” their way into a comfortable retirement? Until we figure that one out, we would be well advised to first examine our own house, and to keep our perceived moral superiority on ice. Here’s one of Silver Charm’s last great races. The remarkable 1998 Breeders’ Cup Classic. Welcome home, champ! 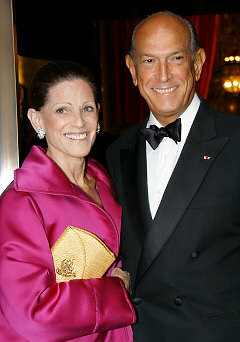 Oscar de la Renta died on Monday at his place in Kent, Connecticut. He left behind three sisters, a son, and a wife, the former Annette Engelhard Reed. Here is where the faithful reader may wonder why the demise of a famous fashion designer has turned up in a horse racing blog, which is totally a fair question. And the short answer is, well, this is a blog. It’s personal. The long answer starts with a chance encounter in an elevator at the old offices of The New York Times on West 43rd Street. I can’t recall the exact date, but, for reasons that will soon be apparent, it must have taken place sometime between late 2001 and early 2003. It was at least eleven-and-a-half years ago because Howell Raines was still the Executive Editor of the paper, and Jayson Blair was still plagiarizing. And I know it was no more than thirteen years ago because I had cleared lobby security by flashing my company ID, which, post-9/11, we were required to have on continuous display via lanyards roped around our button-down collars. I stepped into an elevator, pressed six for Circulation, and was then joined by Raines and a handsome, elegant and impeccably-dressed couple. The husband looked familiar, as well he should have; he was Oscar de la Renta. Howell Raines was a pretty sharp dresser, but, by comparison, these two made him look more like Lieutenant Columbo on a bad day (below, from a different time, via the Daily News). For this one time at least, I knew exactly what to say. 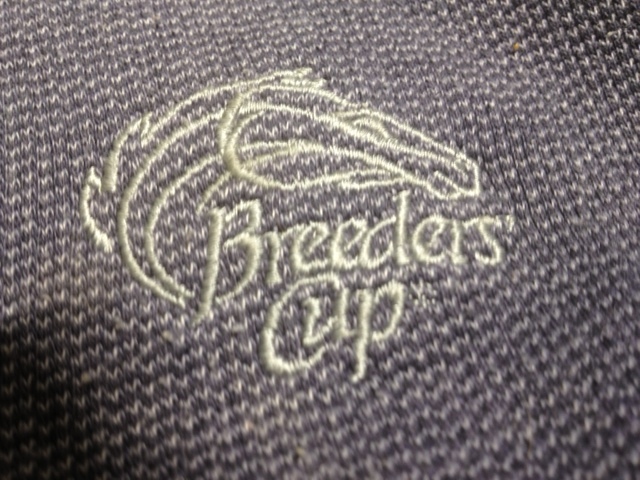 I held out my orange-colored lanyard to show her the blue stitching that read “2001 Breeders’ Cup World Championship” and replied “AND the matching lanyard!” She smiled sweetly; I gave a gentlemanly nod; and exited as the door opened on six. Time passed. Jayson Blair’s serial plagiarism was revealed, and Howell Raines got the axe. Lobby security got beefed up, so I was able to put away the souvenir lanyard from the day that Tiznow “won it for America”. I wear the sweater every once in a while, but hadn’t really thought much about Annette de la Renta since then, until yesterday. People with money and great thoroughbreds tend to go together, so back then it had not struck me as odd that the wife of the famous designer was familiar with the Breeders’ Cup. Perhaps I should have realized then that her familiarity with racing preceded her marriage to de la Renta. Their 1989 wedding was a second act for both; with the designer’s first wife having died of cancer, while Annette Engelhard Reed had been divorced. Mrs. de la Renta was born Anne France Mannheimer in 1939. Her father was a German Jewish banker who died mysteriously before she was born (his bank-financed art collection and the Nazis may have been involved). Her mother was an outcross of a Shanghai-based German Jewish industrialist and a woman named Ignatia Mary Valerie Murphy (of the San Francisco Murphys). After the war, mother and daughter moved to the United States, where mother remarried well and young Annette was adopted by her stepfather, the industrialist Charles W. Engelhard, Jr.
Horseplayers of a certain vintage might remember Engelhard as the man behind Cragwood Stable, which campaigned great horses like Halo (the sire of two Derby winners) in the states. Engelhard also had some success in England. His best horse was purchased at auction in Canada and sent across the pond to Vincent O’Brien for training. 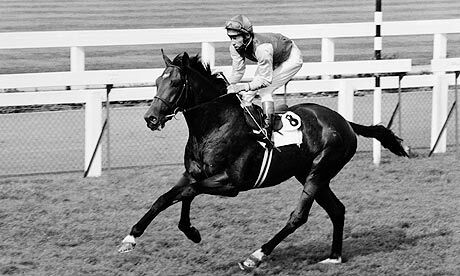 That horse’s name was Nijinsky (and I will not sully his great name by adding the “II” you often see when he is referenced stateside). So now when I think about that elevator ride, my first thought won’t be of Oscar de la Renta or Howell Raines, but of that warm and stylish lady who noticed my Breeders’ Cup sweater, and whose father (the only one she ever knew, anyway) owned the last horse to win the British Triple Crown. Today, she has all my sympathy for what must be an inconsolable loss. Cigar died last week from complications following surgery for severe osteoarthritis in his neck, which sounds like a very painful condition for a horse. There are probably not that many 24-year-old thoroughbreds who undergo neck surgery, but this was Cigar, and he more than paid his own way. He won almost $10 million on the racetrack in 1995 and 1996, and later cashed another $25 million in insurance money when he proved to be infertile; his one payout at very long odds. No bettor ever lost more on a single horse than Assicurazoni Generali S.P.A. lost on Cigar, but that’s why equine insurers are the bridgejumpers of the financial services world. Until last Tuesday I hadn’t really thought about Cigar for a long time. Maybe that’s what happens when horses are infertile and there aren’t any cigarillos running around reminding people that none of them could hold a candle to the old man. But as I got to thinking more about him, I realized that – for several various reasons – he always left me a little cold. It started for me with his second race in 1995, which was the fourth consecutive of his remarkable and record-tying sixteen straight wins. I was living up in Putnam County and my horseplaying was suffering from being more than two hours away from all three NYRA tracks. When races were televised I could stay home and watch them, but then I couldn’t bet. So I was spending lots of Saturday afternoons at an OTB parlor in relatively nearby Dutchess County. That’s where I was for the 1995 Donn Handicap. The ’95 Donn was the last race in Cigar’s career where he was not the favorite, owing to the presence in the starting gate of the 1994 champion 3-year-old and Horse of the Year Holy Bull. Cigar broke well, and with jockey Jerry Bailey not about to let Holy Bull get an easy lead the two of them hooked up early. As they raced in tandem down the backstretch, Holy Bull’s left foreleg made a popping sound, and Mike Smith smartly and quickly pulled up the great gray champion, while Cigar rolled to an easy victory. There was an excited corner of the OTB parlor because a woman had keyed Cigar on top of the entire field in the trifecta for a dollar and won about two grand when two bombs filled it out. Meanwhile, the feed from Gulfstream delivered not a shred of information about the condition of Holy Bull, which seemed to me a totally unacceptable situation (it wasn’t until I read the Sunday paper that I found out he would be OK). I didn’t have a dime on the race, but the combination of the woman cashing a signer only because Holy Bull had broken down, and the seeming total lack of concern as to his condition, put me into a foul mood that lasted well into a bottle of tequila back in Putnam County. This was my introduction to Cigar. There was an inevitability to Cigar’s victories that year that made backing him the equivalent of going to the Coliseum in Rome, laying a ton of points, and rooting on the lions. 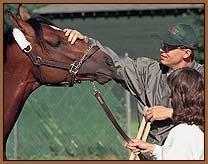 Both Bill Mott and Jerry Bailey had their best years for wins in 1995 and 1996, and owner Allen Paulson won the Eclipse Award both years as top owner. And all of Cigar’s wins in 1995 were cut from the same cloth (break well, grab an easy early lead or sit just off the pacesetters before putting the thing away at the top of the stretch). If he was so good, I figured, couldn’t he at least hand the field a spot every now and then and find a way to make it interesting? But, no. Ten daylight wins, with his one-length victory in the Jockey Club Gold Cup being the only one with a winning margin of less than two lengths. While I will now give Allen Paulson a lot of credit for the way he campaigned Cigar – making him perhaps the most well-traveled champion since Seabiscuit – at the time I did not like the guy at all. Alas, I have some “acutely judgmental” coding in my DNA, and have always been disapproving of the way that certain owners make the naming of their colts and fillies more about themselves, rather than about the horses. Cigar, by Palace Music out of a Seattle Slew mare named Solar Slew, was named for an aeronautical navigational checkpoint in the Gulf of Mexico. This was how Paulson, who had once owned Gulfstream, the private jet manufacturer, came up with names like Cigar; Arazi (in the Arizona desert); and Azeri (in Azerbaijan). This past week has shown that Andy Beyer has company. A whole lot of people really liked Cigar. 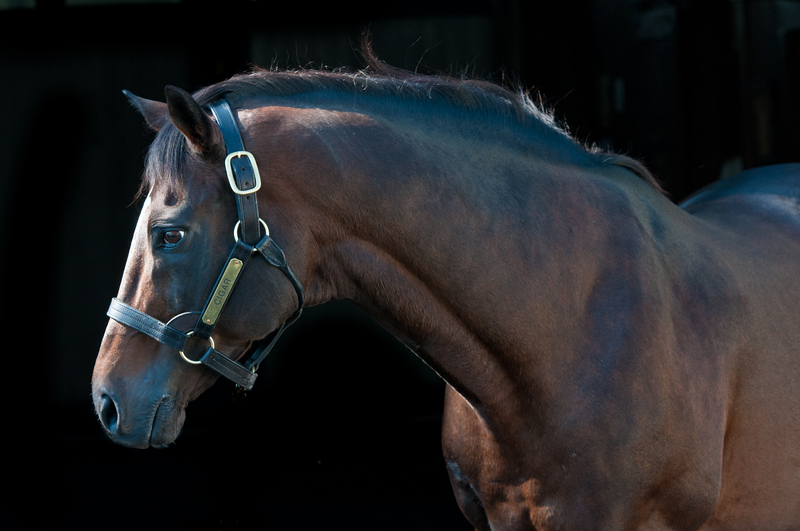 The folks at the Kentucky Horse Park, where Cigar spent his last years as the star attraction, will certainly miss him. Those who were lucky enough to see him as he criss-crossed the country in ’95 and ’96 know that they were witness to a special part of racing history. And since Cigar never finished out of the money after Mott put him back on the dirt, it’s a pretty safe bet that all of the bridgejumpers out there will miss him too. Well, except maybe for Assicurazoni Generali S.P.A., who must know better than anyone that Cigar was a one-of-a-kind horse, and that we won’t be seeing the likes of him again. I don’t have much use for business travel. For one thing, there is often work involved. Or else it’s some conference, where you are teased by a flight into some nice town and a smooth ride in a black car to some grand hotel, where you put on a name tag and sit around some too-cold ballroom listening to panel discussions while everyone around you checks their email. But every once in a while you get lucky. I’m flying to France this Friday evening so I can spend the following week working out of my company’s Paris office. I had minimal input into the work dates (“any time after Memorial Day” was my lone request), but once they were set at June 2nd through 6th, I knew I had struck gold. You see, my company allows its employees to fly in during the prior weekend on these sort of trips, so that you can be fresh as a croissant on Monday morning. And I knew that this year the Prix du Jockey Club (aka, the French Derby), will be run on Sunday June 1st. If my flight arrives on time and I can get things sorted out quickly at my hotel, there is also a Saturday card at Longchamp that may be too tempting to resist. And if all this fortunate timing was not enough, I will be making the Chantilly trip with an old college friend who has been living in Paris for more than twenty-five years and is my equal when it comes to l’amour de poulains et pouliches. Two horseplayers at the back door to Longchamp, 1992. Obviously, going to work the day after the Prix du Jockey Club will be somewhat of a letdown, but when was a non-holiday Monday ever any good? But this first week of June figures to be rich with anticipation, as Belmont Park is prepped for what could be its biggest day ever. I return to New York on D-Day. The next day I will be out at Belmont Park, taking in a second classic race in the span of one week. Despite all appearances to the contrary so far, this post is not just me crowing about my good fortune. I wanted to post this so that any subsequent posts about France would not seem to come out of le bleu. But also, I wanted to encourage any horseplayers out there with the means and the inclination to take a racing holiday in France. Arc weekend at Longchamp in early October gives you Paris at a splendid time in the calendar, and the best two straight days of rollicking racing this side of the Breeders’ Cup. If summertime racing is more your style, Deauville, on the Normandy coast, is a brilliant mashup of Del Mar and Saratoga. And should you get homesick, there is a seaside property just a short drive from Deauville that is officially a part of the United States. It’s also a nice reminder that, yes, 9/11 museum, we once knew how to create a proper memorial. And on this Memorial Day, just 12 days shy of the 70th anniversary of the allied landing, this place deserves a plug as much as anywhere. Noses hold a prominent position in the world of horse racing. Unless something has gone terribly wrong, this is the part of the horse that is first to cross the finish line, stopping the teletimer, and determining the winner. This explains why betting to win is called “putting it on the nose”. Noses have also played an outsized role in two of the most dramatic runnings of the Belmont Stakes. The last Triple Crown winner – Affirmed in 1978 – gained his everlasting fame because after 12 furlongs around the Belmont oval, he was ahead of Alydar by the length of his nose. Twenty years later, Real Quiet was denied the Triple Crown when Victory Gallop was able to get his nose to the wire first, despite being fouled by the Derby and Preakness winner. The Belmont Park stewards, denied the opportunity to order a brave and monumental disqualification once Victory Gallop won the photo, instead, first thanked their lucky stars, and then insisted that they would have taken down Real Quiet had the photo gone the other way, by releasing a brave-sounding statement: “The judgment can’t really be interpreted because of the Triple Crown. The facts speak for themselves.” Yeah, OK. Let’s hope they bought Victory Gallop a Guiness, or at least threw him a few peppermints. It may be their job, but even stewards don’t want to be in the position of taking down an otherwise deserving Triple Crown winner. Victory Gallop and his trainer, Elliot Walden. Now, sixteen years later, the Belmont Park stewards are looking down a long face, and once again finding a thoroughbred’s nose standing in the way of a potential Triple Crown winner. Only this time, the nose in question is the one belonging to California Chrome, this year’s Derby and Preakness winner. California Chrome would seem to have little use for his nose of late, having won his last six races by open lengths, but as an obligate nasal breather, his honker is in fact a physiological requirement. Therein lies the rub. California Chrome wears nasal strips when he races. In the occasionally Kafkaesque world of the New York Racing Association, racing with nasal strips is not banned, but neither is it permitted. Falling under the broad category of “equipment”, it is up to the NYRA stewards to decide whether or not California Chrome gets to wear that big, old band-aid across his nose. So, what’s the hangup? Let California Chrome wear his nasal strip and let us find out if he is good enough to become the 12th American Triple Crown winner. But the hangup is that two years ago, with the same rule (above) presumably in effect, trainer Doug O’Neill was told that his Triple Crown aspirant I’ll Have Another could not wear a nasal strip if he ran in the Belmont (which he subsequently scratched out of, because of an injury). This recent history puts the stewards in a pickle: stay consistent, and deny California Chrome the use of his nasal strip, and risk that his connections are not bluffing about running him in the Los Alamitos Derby instead of the Belmont Stakes; or, do an about face and risk being deemed craven flip-floppers, ready to trade their remaining credibility in order to guarantee that the big day does not fall apart over a breathing aid. This would allow California Chrome to wear his nasal strip in the Belmont, and Doug O’Neill’s Goldencents to wear his in the Metropolitan Handicap earlier in the race card. Management at Los Alamitos might be a little disappointed, but you can’t please everyone. The NYRA stewards are expected to issue their ruling early this week. Last year’s Belmont winner was treated with Bute and Banamine in the days leading up to the race, and got Lasix on race day. We don’t yet know what California Chrome’s Belmont RX will look like, but, given what is already allowable, it’s hard to believe anyone would begrudge him a nasal strip and a little more oxygen, as he tries to do something so difficult that it has not been accomplished for nearly thirty-six years.